Human T-cell leukemia/lymphoma virus type 1 (HTLV-1) was the first oncogenic human retrovirus to be discovered, more than 25 years ago. HTLV-1 infects 15 to 20 million individuals worldwide. This oncoretrovirus can be transmitted in three ways: horizontally (sexually), vertically (mother to child), and via blood transfusion. HTLV-1 causes two major diseases: adult T-cell leukemia/lymphoma (ATLL) and tropical spastic paraparesis/HTLV-1-associated myelopathy (TSP/HAM). ATLL can be classified into four major subtypes: a smoldering type, a chronic type, a lymphoma type, and a leukemic type. 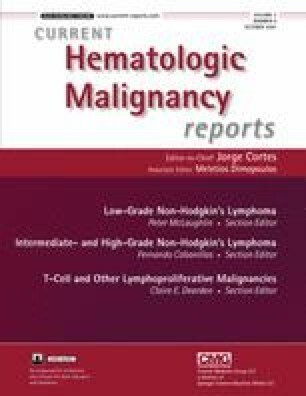 Because of intrinsic chemoresistance and severe immunosuppression, the survival rate of ATLL patients, especially those who develop the acute leukemic or lymphoma forms, is very poor, and such clonal malignant CD4 expansion remains one of the most severe lymphoproliferations. This article discusses a number of recent treatments including antiretroviral therapy, aggressive chemotherapy, and allogeneic bone-marrow transplantation, as well as new drugs.